Martin Audio’s revolutionary award-winning Multi-cellular Loudspeaker Array [MLA] technology is reinventing the way loudspeaker arrays are configured and controlled. With it has come an unsurpassed control of sound with pristine fidelity and huge output capability — bringing the FOH engineer and the audience together in a more powerful, involving experience. Optimised arrays focus the sound exactly where needed and keep it away from where it isn’t. 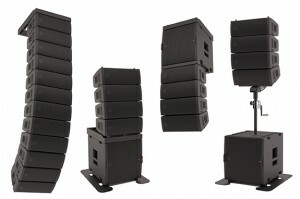 This can have real world benefits with adhering to noise limits off-site and keeping your event license. MLA Mini systems are available to hire from CS Audio, please get in touch to see how this incredible technology can benefit your next concert, tour, festival or event.